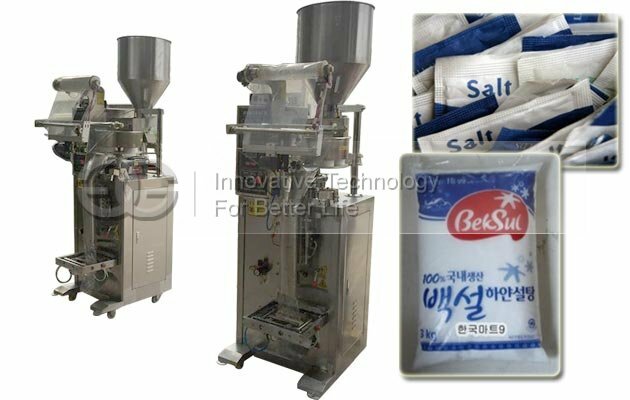 This machine is used to pack salt, sugar, grains,etc. 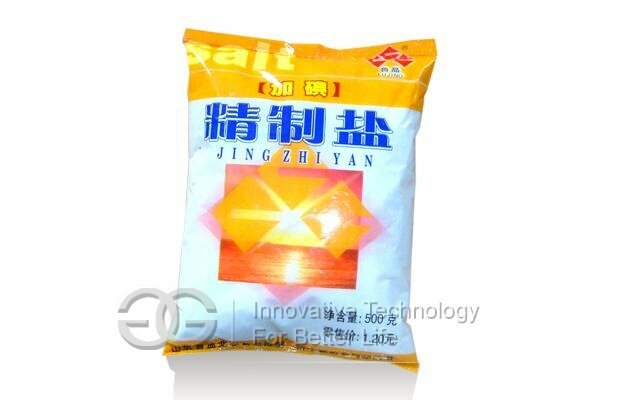 Easy operation, good quality, stable performance. 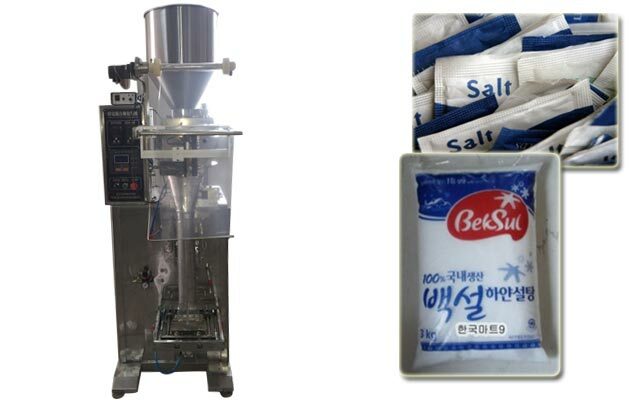 This automatic packing machine is used for packing bags of beans, seeds, salt, MSG, desiccant, soup, Chinese traditional medicine, tea, etc., as well as free flow particles. 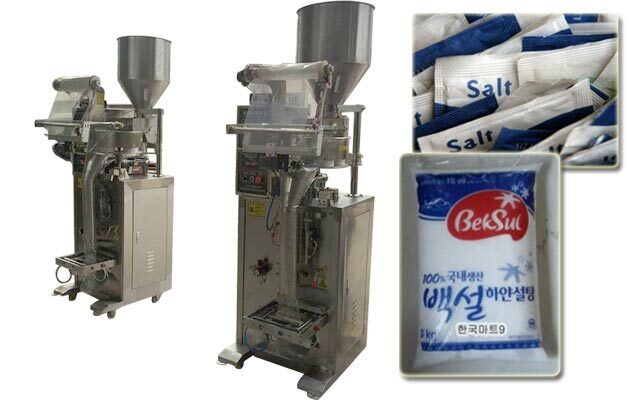 Can change the volume of cup, precise control, make the product filling is reliable and practical. 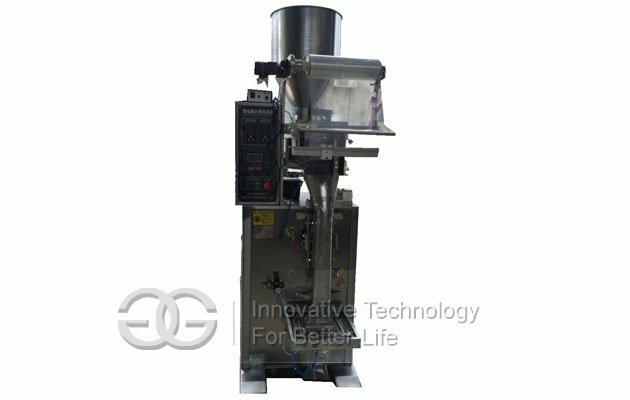 Volumetric filler has the characteristics of rapid, accurate, economic and practical.This packaging machine can quantitative pack wood pellet, salt, dog food,grain, etc with high capacity and stable performance. This turnplate packing machine adopts correcting system controlled by microcomputer, owing t a response signal is handle and set pass through microcomputer, This Kind of Automatic Pellet Packing Machine can accomplish whole set to synchronization, sack length, position fixing, voluntarily follow the tracks of light-mark and voluntarily diagnose trouble and show to screen. 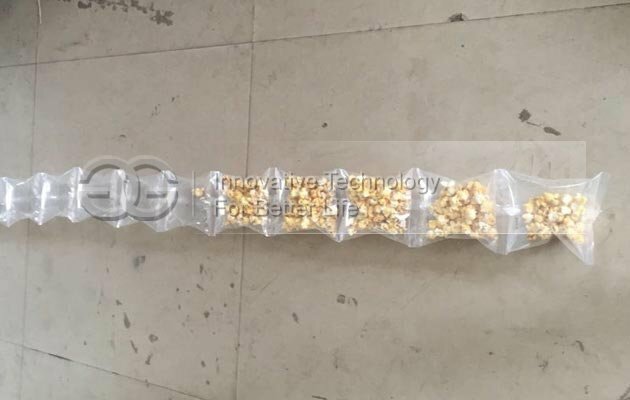 Belong to packing material of hot-sealing, such as polyester/polyethylene, nylon-compound membrane, strengthen-compound membrane, BOPP and so on.with CE Certification.High accuracy, high efficiency without crashing the materials,This Dog Food quantitative Packing machine Adopting double high precision sensor and intelligent meters,Error automatically ammended, trouble self-inspected, packaging speed display; Adopting famous brand process switch and air equipment.